A quick post today as everything is getting a bit hectic with the big day getting so close. It is also the shortest day today, not that you would notice, the days around here recently have been so dark and overcast. As most of you will know the current challenge over at Crafty Boots Challenges is 'Winter Wonderland'. These little robins may not be covered in snow but there is something about their gorgeous plumage that says winter to me. 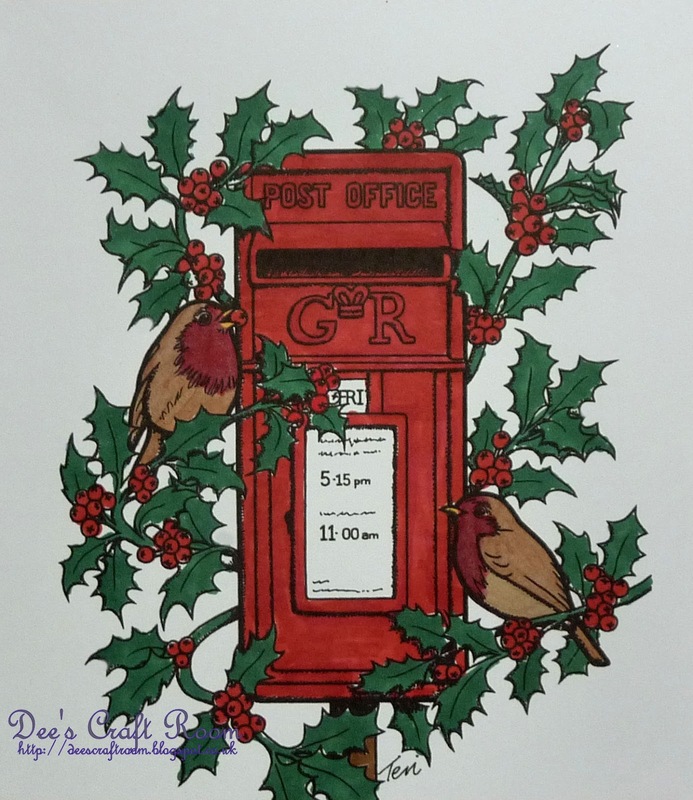 This card features one of Teri Shermn's gorgeous digital images, this one is called 'Jolly Holly Postbox'. I coloured the image with Promarkers and then mounted it on gold mirri. 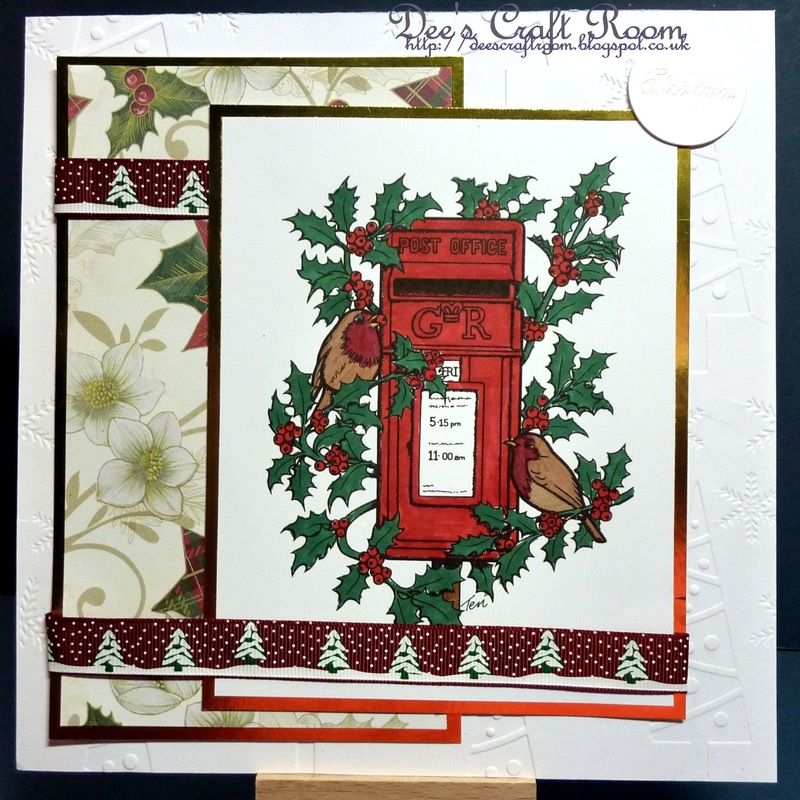 I embossed the whote card with Christmas trees and the sentiment is from Craftwork Cards. The backing paper and snowy ribbon are both from my stash. Don't forget to enter your wintery projects into this Crafty Boots Challenge. Thank you so much Carol. The B paper was a little bit I had left over from another card but it was too good to throw away. Hope you are having a great Christmas.